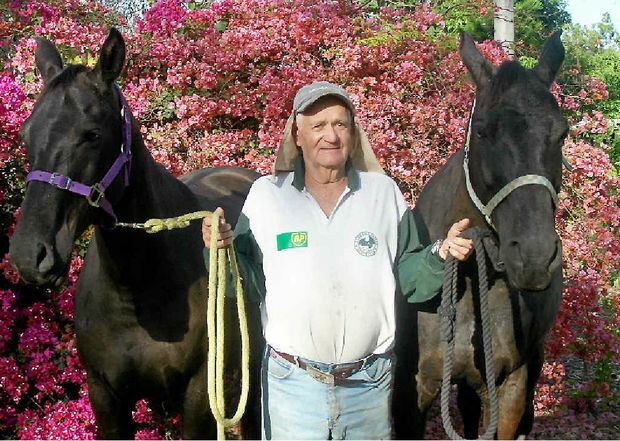 IT WAS a freak accident on a neighbour's Canoona property that tragically took the life of local author and former Australian bronc-riding champion Alwyn Torenbeek on Friday morning. Authorities confirmed the 78-year-old was a passenger in a farm vehicle that was involved in an accident at 11.30am on the Wattlebank Rd property, north of Rockhampton. As those who knew Alwyn would know, he was a hard-working character who never let his age stop him from helping out on the farm. Alwyn died while helping his son and their neighbour on their neighbour's property. When Alwyn hopped into the four-wheel-drive farm buggy, he tried to move over to the passenger side of the vehicle but accidentally pushed his foot down on the accelerator without noticing. Tragically, Alwyn drove the buggy into a post despite efforts of trying to direct the vehicle. The bush legend was known in his early days as a champion in the rodeo ring, having won the Australian bronc-riding title at just 21. He was a triple Hall of Fame winner as an inductee in the Stockman's, Equine and Rodeo halls of fame and was one of the oldest competitors of endurance equestrian rides in the country. More recently Alwyn was known for his book, Life in the Saddle, which was published in 2013 and featured on ABC's national TV program Landline.